Physical practices can’t heal an injured Spirit. Emotional blocks cause energy to stagnate and result in physical symptoms and illnesses. 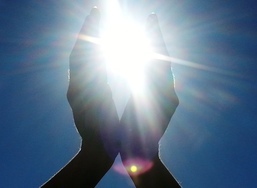 Usui Shiki Ryoho Reiki works on all levels to clear physical, mental, emotional and spiritual blocks. One off treatments or packaged Reiki/Coaching programs are available. In a Usui Reiki treatment you are the healer. Your Spirit knows exactly where to draw the energy for the healing you need most. Sometimes this will be on a physical level (e.g. after an accident), other times it will be on a spiritual level, usually it will be both. Combined with journey techniques to release negative thought patterns causing 'dis-ease’, this is a powerful way to bring healing to mind, body, and spirit. Put the 'treat' in treatment with a gentle shamanic healing session. Discover your personal Spirit world, reconnect with Mother Earth. Individually tailored treatments combine Usui Reiki, Isis Seichim, crystals, drums, and rattles with inner journey work to to restore balance or bring shift behaviour you're looking to change. ​Part of the beauty of Usui Reiki is that it has no boundaries, it is just as effective whether you're in the room or anywhere else in the world. Remote treatments can be scheduled in advance or conducted via Skype. Super convenient when several treatments are needed (e.g. after an accident), and ideal for small children and pets who won't sit still for long. Usui Reiki emphasises the value of self-treatment as the core of the practice, and encourages the treatment of family and friends. It promotes personal growth, spiritual awareness, and healing on physical, mental, and emotional levels. Register your interest for Reiki training or a share day. ﻿Note: Due to the sacred nature of Usui Shiki Ryoho Reiki places are strictly limited.